In this present internet age, risk analysis and crisis response based on information will make up a digital world full of possibilities and improvements to people’s daily life and capabilities. These services will be supported by more intelligent systems and more effective decisionmaking. This book contains all the papers presented at the 4th International Conference on Risk Analysis and Crisis Response, August 27-29, 2013, Istanbul, Turkey. The theme was intelligent systems and decision making for risk analysis and crisis response. The risk issues in the papers cluster around the following topics: natural disasters, finance risks, food and feed safety, catastrophic accidents, critical infrastructure, global climate change, project management, supply chains, public health, threats to social safety, energy and environment. 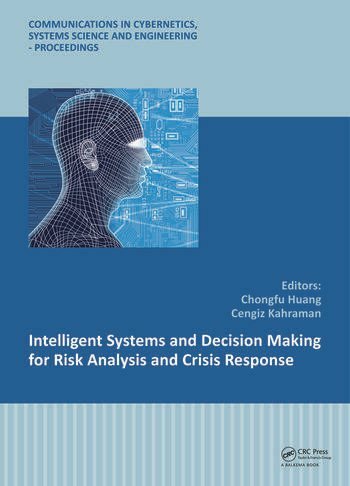 This volume will be of interest to all professionals and academics in the field of risk analysis, crisis response, intelligent systems and decision-making, as well as related fields of enquiry. Do varying patterns with the same trend exist between temperature warming and climate-related natural disasters in China? How is risk perception influenced by perceptive approaches in a multi-risk context?